New York Philharmonic music director Alan Gilbert will step down in 2017 after eight seasons, according to the New York Times. Gilbert, 47, said that he wanted to allow a new music director to take the helm before construction -- expected to last two seasons -- begins on a new concert hall in 2019. 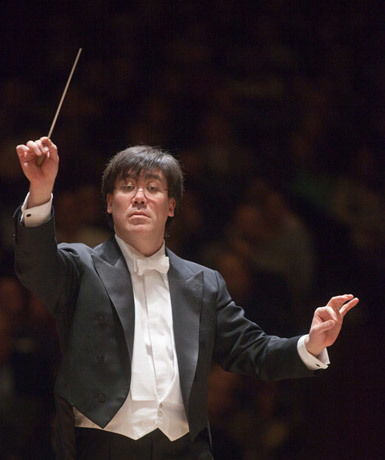 Gilbert is the son of two New York Philharmonic musicians, violinist Yoko Takebe, and retired violinist Michael Gilbert, and he was the first Asian American to lead the New York Philharmonic. An American and a New Yorker, he studied at both Curtis and Harvard. V.com weekend vote: Which conductor, Alan Gilbert or Gustavo Dudamel? V.com weekend vote: Who is your favorite orchestra conductor? Can't blame him for not wanting to live through the hell of the construction of a new hall. That'll be rough.